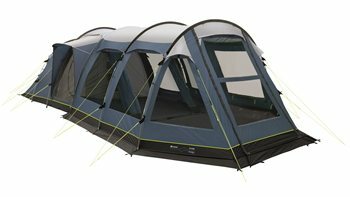 Quickly and easily pitched, the Outwell Nevada 5 Front Awning is a generously sized porch area securely hooked to the main tent. It adds flexible living and storage space that can be fully closed or opened completely to suit changing weather conditions. With its large tinted windows and toggle-up curtains, it makes a great room for relaxing on site.